Friends and colleagues of Limavady council worker John Winton have been invited to sign a book of condolence at one of four centres. The military veteran and part-time firefighter was killed as a result of a collision with a refuse vehicle on November 6. Mr Winton served in Bosnia, Kosovo, Iraq and Afghanistan before leaving the Army to work in the private security industry and most lately for Causeway Coasts and Glens Borough Council. 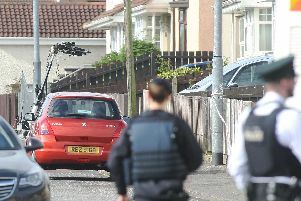 The 51-year-old was also a member of the Orange Order and the Roe Valley flute band. Mayor Brenda Chivers said: “The sudden and tragic nature of John’s death caused great shock and sadness for his family, friends and those who worked with him.